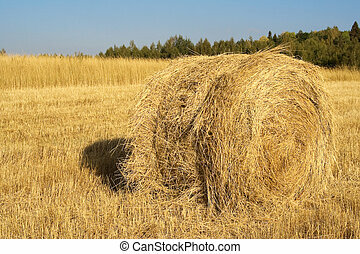 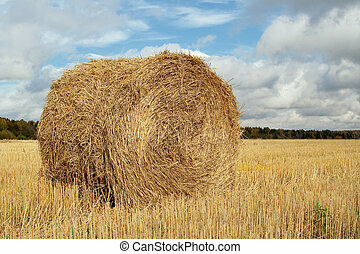 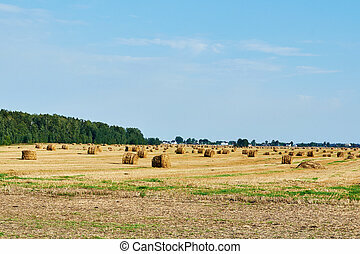 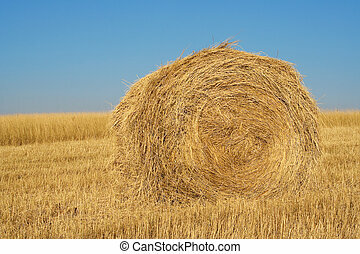 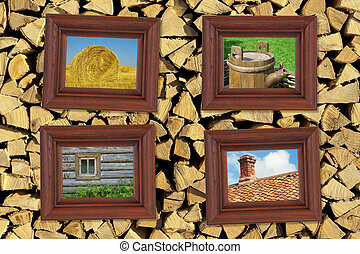 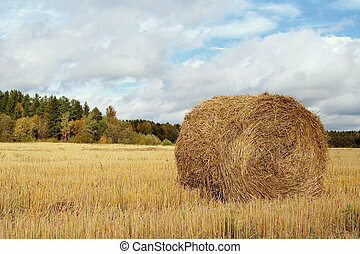 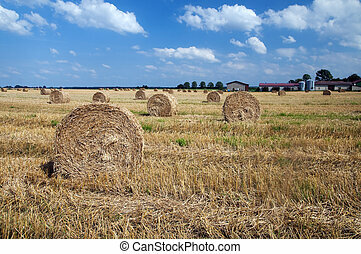 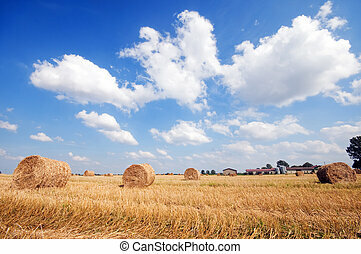 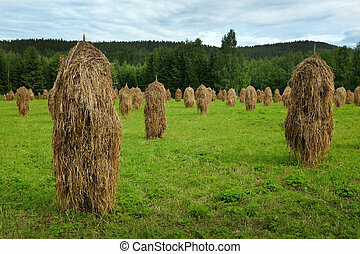 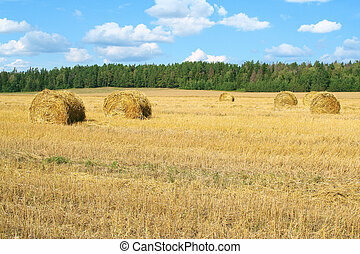 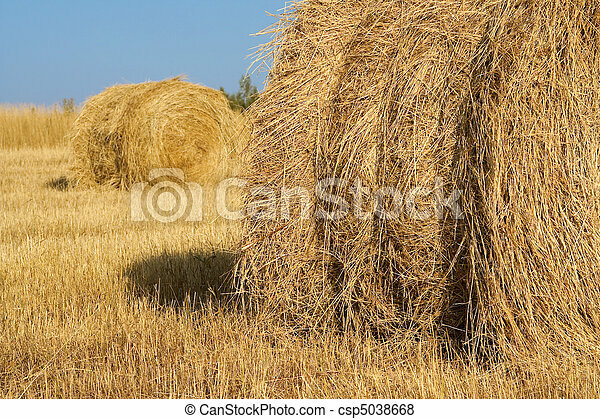 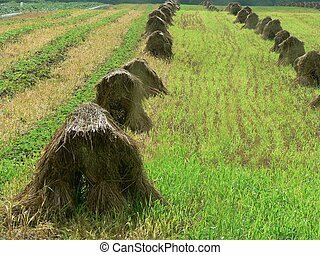 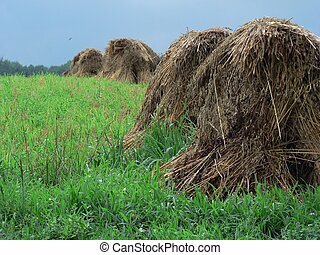 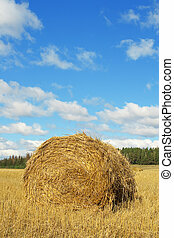 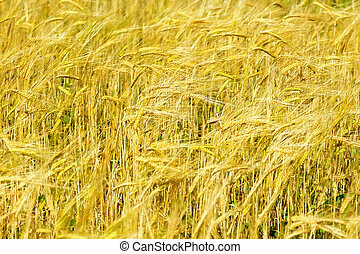 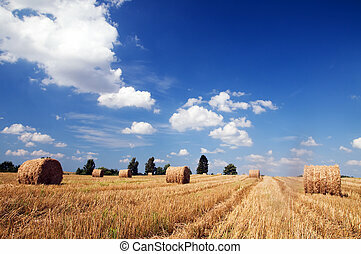 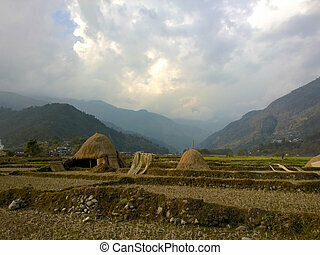 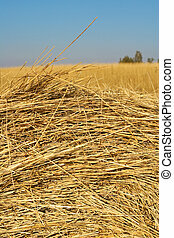 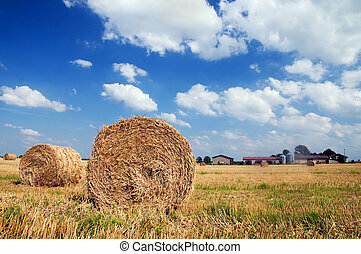 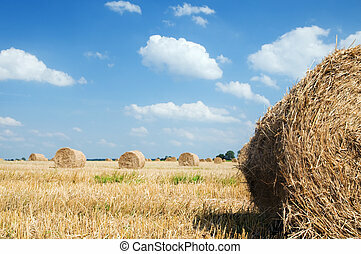 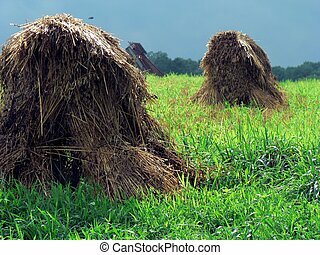 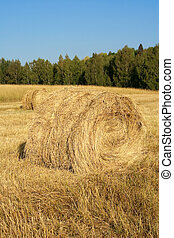 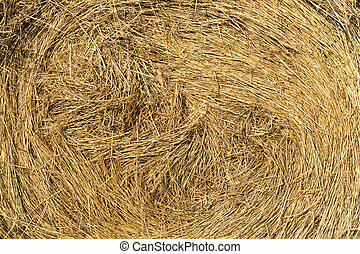 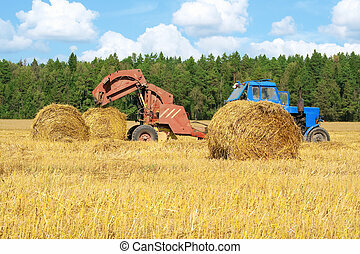 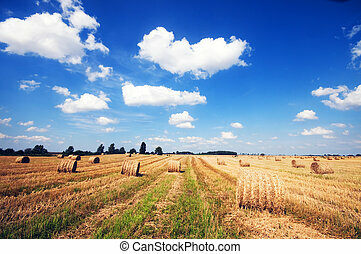 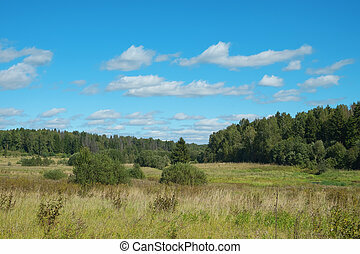 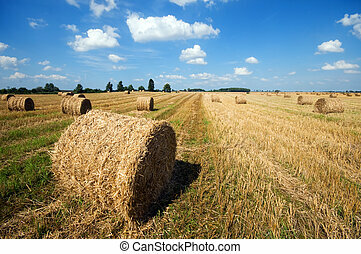 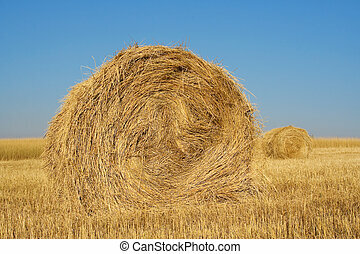 Haystacks in field. 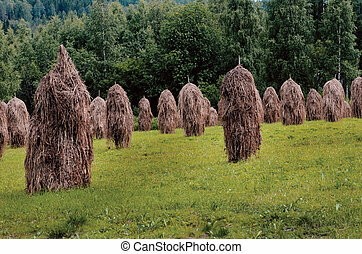 Haystacks in a field photographed in the early summer morning. 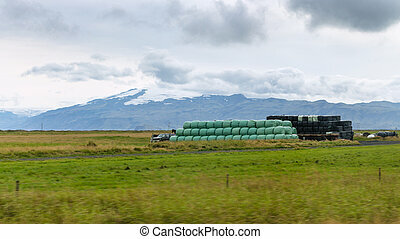 Some haystacks in a field with mountains in the background.